​Note: Traveling to Slovakia, Czech Republic, and Poland as well. For the last 6 years Kris has traveled to the UK to help support, start, train those leaders and pastors who want to start a singles ministry. We started with 2 ministries and now there are over 15. We continue to see God reaching more and more each year. This year we have expanded to more places in Kent, also Wales and Manchester (please pray for them). We are also headed to Slovakia, Czeck Republic and Poland. Please join us in prayer. If you would like to schedule Kris while in the UK, please contact her at Kris@thesinglesnetwork.org. 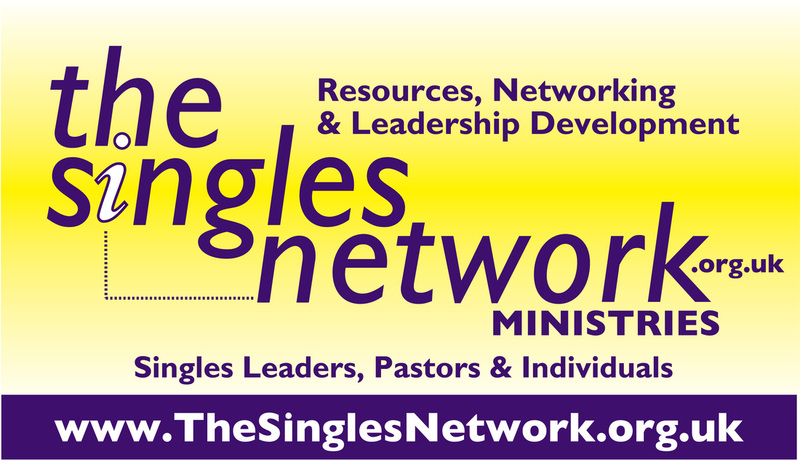 Come and get encourage, empowered and refreshed in the Lord..knowing your singleness is valued by God. 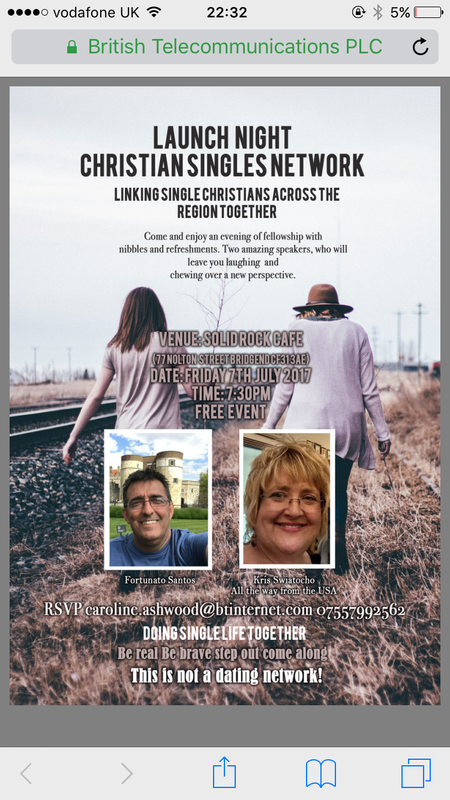 Come and enjoy an evening of fellowship with nibbles and refreshments. Two amazing speakers who will leave you laughing and chewing over a new prospective. Cost is free but we do need your RSVP so we can prepare. Location: Church House, Christ Church Pennington, Schofield Street, Leigh, Lancs, WN7 4HT. Optional “bring your own” lunch from 13:00 to provide more opportunity to exchange ideas and talk with the speakers. Note: 1 in 3 UK church members are single adults: we're a great potential resource for building churches and community, fellowship and new ideas. Speakers from the region will be sharing experience and good practice. Parking: Parking is available in the church grounds: please turn right as you come in and go round the building. Please check with us about any dietary requirements e. g. coeliac, vegetarian, lactose-intolerant, as we cannot guarantee to provide for them. Parking is available in the church grounds: please turn right as you come in and go round the building.